The iconic ocean liner Queen Mary 2 is hosting a high fashion experience on the high seas with celebrity guest Iris Apfel. The trans-Atlantic voyage will feature the 95-year-old fashion icon and design diva, who owned the textile firm Old World Weavers for 44 years and contributed to design restorations at the White House for nine presidents. Apfel’s father’s family owned a business designing and selling glass and mirrors, and her mother owned a fashion boutique. During the crossing, passengers can enjoy Q&A sessions with Apfel. There will also be runway shows with fashion models, and a screening of the documentary film Iris, directed by Albert Maysles. Also in attendance on the voyage will be other fashion celebs including designer Julien Macdonald, historian Colin McDowell, and industry consultant Gail Sackloff. When asked about her secrets for a long and happy life, Apfel stated, “I have no secrets. I have no advice except to love life and not give in to yourself. At a certain age, you have to push a bit to be honest. Once you do, you’ll find there’s a lot out there and you won’t think of yourself. Get out there and help somebody. There are so many people that need a hand. Life is there, and it’s wonderful,” she concluded. Apfel continues to remain active, appearing in a Citroën commercial, lecturing about style, and collaborating with WiseWear and Smart Jewelry. Her distinct style has inspired museum exhibits at the Met (NYC), Nassau County Museum of Art (NY), Museum of Lifestyle & Fashion History (Boynton Beach, FL) and the Peabody Essex Museum (Salem, MA). The latter two venues are building collections and dedicated galleries of Apfel’s clothing, accessories and furnishings collected over the last 70 years. 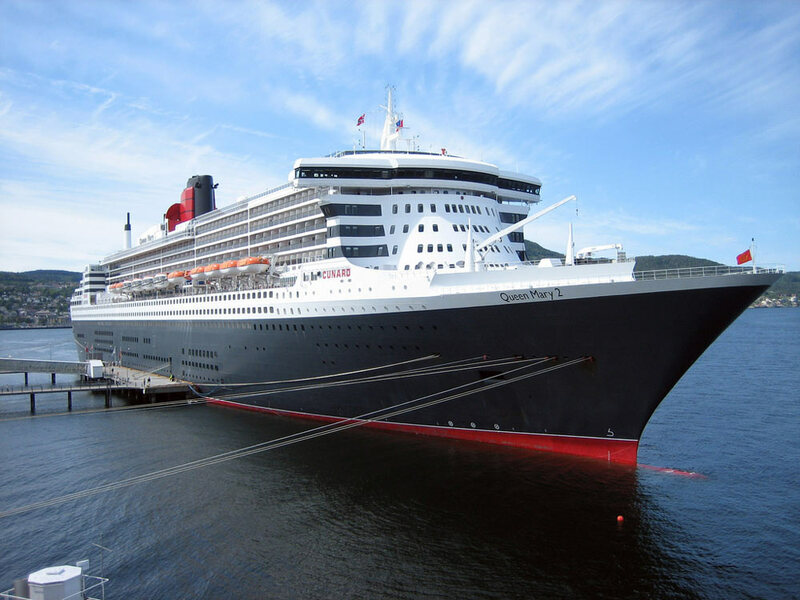 The Queen Mary 2 fashion voyage will leave from Southampton, England on August 31 and arrive in New York City on September 7 to coincide with New York Fashion Week.